Tegucigalpa, March 19, 2017 - The undersigned international organizations stand in solidarity with women's rights defender Suyapa Martínez, director of the Women's Studies Centre (CEM-H). The organisation faces a civil lawsuit in Honduras, brought against it by the company Desarrollos Energéticos SA (DESA). 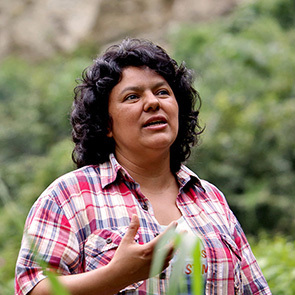 The case is based on the statements the defender made on a television program pointing out the links of officials of that company with the murder of Berta Cáceres Flores. Indeed, two middle managers of DESA are being held in prison in Honduras for their alleged involvement in the murder. The company claims damages to its image and demands the payment of approximately $ 42 000. The hearing is scheduled for March 21. 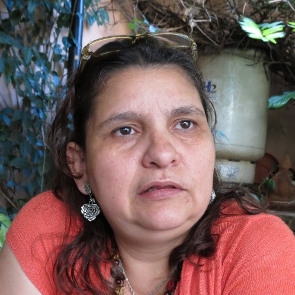 Suyapa Martínez is a well-known women's rights defender, and is currently a representative of civil society in the National Council of the National Mechanism for the Protection of Human Rights in Honduras. The organizations believe that the civil lawsuit filed against her seeks to have an intimidating effect on the community of human rights defenders in Honduras. Ambeyi Ligabo, now a former United Nations Special Rapporteur on the promotion and protection of the right to freedom of opinion and expression, stated that "the right to question ideologies, political figures and economic and social actors, specially for research purposes, is perfectly legitimate and constitutes an important part of the exercise of the right to freedom of opinion and expression. [...] While the protection of the rights and reputation of others and the defense of national security are indeed legitimate objectives, the real challenge lies in protecting and promoting freedom of expression without creating additional barriers." For its part, the Inter-American Court of Human Rights, in the case of Santander Tristán Vs. Panama noted that "extremely high civil [...] reparation may be more intimidating and inhibiting to the exercise of freedom of expression as a criminal sanction, as it has the potential to compromise the personal and family life of whom it denounces [...]." We urge the judicial authorities to take into account the international standards indicated, as well as to consider the status of human rights defender that Suyapa Martínez holds, and the context of criminalization and persecution in which this civil lawsuit is framed. We also request that the right of defense and due process be guaranteed at all procedural stages, avoiding the use of civil proceedings as a means to intimidate and unduly restrict freedom of expression. Finally, we urge the Office of the United Nations High Commissioner for Human Rights (OHCHR) in Honduras, the Inter-American Commission on Human Rights and the international community to observe the civil process and demand respect for legal rights, such as the right to defend human rights.